WA led from the start and was never headed. At the 1000 metre mark, WA had a length on the field. VIC then moved in the third 500 metres but only reduced the margin. This struggle continued to the end where WA won by a canvas. The sculling race was of great interest with the final a dead heat between Sykes and Hale. Upon the dead heat being announced, the scullers resolved to re-row the event and the referee agreed. In the re-row for first place 1 1/2 hours later, Jeff Sykes won by 5.3 secs from Ted Hale. This was a first and final with VIC leading all the way. A push by SA to narrow the gap worked but Victoria still won comfortably. Margins 4.5, 5.6 & 2.9 secs. 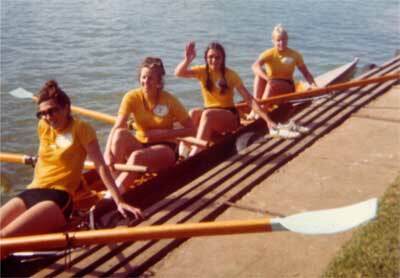 This was the first time that a coxless pair oared event was conducted. States could enter up to two crews provided that one comprised the reserves for the eight oared crew. Heats were held with crews finishing third eliminated and those finishing second progressing to a repechage. In addition to the normal women's championships wnich were held on the Barwon River this year, women's events in fours, pairs and singles were conducte at the men's championships at Murray Bridge. 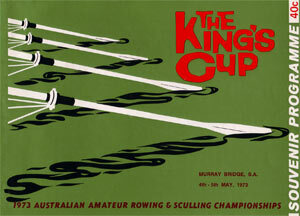 In the four oared event, an Australian crew competed against a New Zealand crew with other club crews. Australia No 1 stroked by Pam Murray defeated Australia No 2 by 3 lengths with New Zealand a mere two feet further behind. 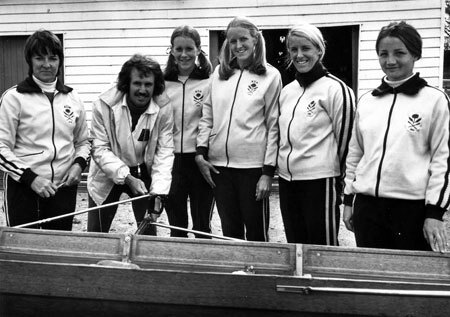 The New Zealand crew was Bow: Anne Kidd, 2: Patricia Gallop, 3: Kathy O'Sullivan, Str: Lesley Keys, Cox: Dexter Abernethy, Cch: John Williamson, Emerg: Gay Leslie. 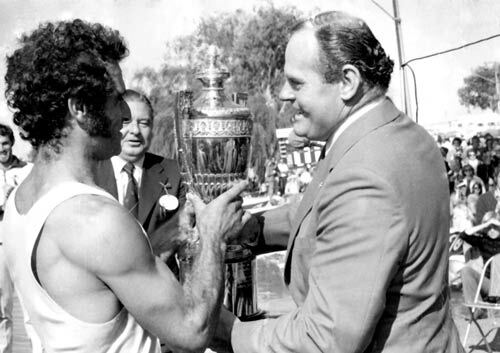 See the 1973 National Championships page for other details. The sculling championship was a straight final and an easy win to Shirley Graham. At the men's championships, a women's sculling event was conducted. Shirley Graham won convincingly again but this time from Robyn Pull with Elaine Guterres in third place. 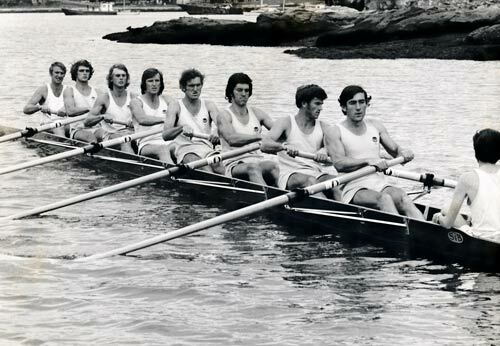 The Lightweight Four Championship was also run as a first and final with a close win to NSW from Victoria. The ideas and format for this history originated from the Olympic Rowing and World Senior Rowing Championship histories written by Andrew Guerin and Margot Foster in 1991, 1992 & 1993 for the Australian team handbooks. Andrew Guerin has developed and extended the histories to the current format in 2004 for publication in 2004 and 2005 and acknowledges the ongoing assistance of Margot Foster. These contents of this history are copyright. Apart from any fair dealing for the purposes of private study, research, criticism or review, as permitted by the Copyright Act, no part may be reproduced by any process without written permission.